So I've done a little more research, and it looks like this isn't possible (though a LAN->WLAN router is, as suggested by the docs). The board would need to have a second radio with which to rebroadcast the signal, which it doesn't have (although it still confuses me how it can act as an AP). Note that apcli0 and ra0 share a MAC address (the one printed on the shield), and br-wlan, eth0, and eth0.1 share another MAC. Also note that eth0 and ra0 seem to be attached to (hardware?) interrupts 5 and 6 respectively. My end goal would be to set up this adblock package in between whatever network the omega is connected to and whatever devices are connected to the omega. Hm, this is odd. I tried soldering the wires from a USB-Serial converter to the relevant pins on my omega, and it didn't seem to boot (at least, the light didn't come on and as far as I could tell, no wireless network was broadcast). I even tried plugging it into the wall to see if my computer was supplying an insufficient current, but I got no dice there either. Unfortunately, I don't have a multimeter around to test actual values. @luz I just found out that USB OTG converters tell the device they're connected to to act as a host by pulling the ID pin to ground. Would this work for an Omega board, or would there still have to be firmware-level support for that, as you suggested? Looks like those diodes are "transient-voltage-suppression diodes", and are used to clamp down on electrostatic discharge from frying the rest of the circuit. As for the transistor, you could probably do without it (though I don't claim to be any sort of expert) and just have the regulator connected directly to the power bus through a switch. I'm going to be doing something similar, but I just got a cheap CP2102 breakout board on amazon (they generally come with 3V3 output, so no need even to connect through the regulator) to save myself the hassle. RE: Powering the Omega 2 for the first time without an adapter? Did you check how much current was being supplied? From my quick research, it looks like the arduino pins only supply around 10 mA @3V, while the Omega boards need about 10 times that. @luz I know that it's possible to use a serial to USB converter-- my question was whether I can connect directly over USB without any extra hardware. Good to know about the MT6788 though, thanks. EDIT: wow that's a big picture! 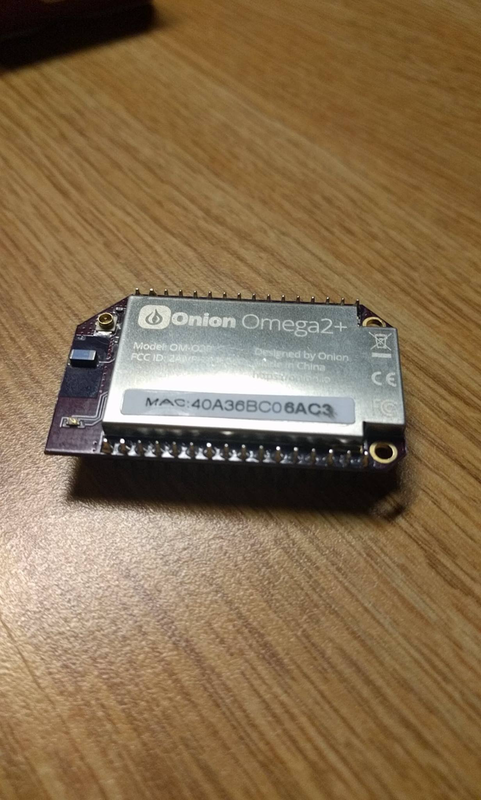 Btw, this baby's name is Omega2 +, Onion is the company behind. If you can trace an Omega pin to a documented CPU pin, you're in business. Well anyway, as soon as I get home for the holidays I'll start testing my theory, though it would be nice to have an official answer. Also unfortunately there is a large metal box covering the SOC and stuff (as in the diagram above) so it's basically impossible to follow the traces to the chip.